Rare French variety introduced in 1907 by C.C. 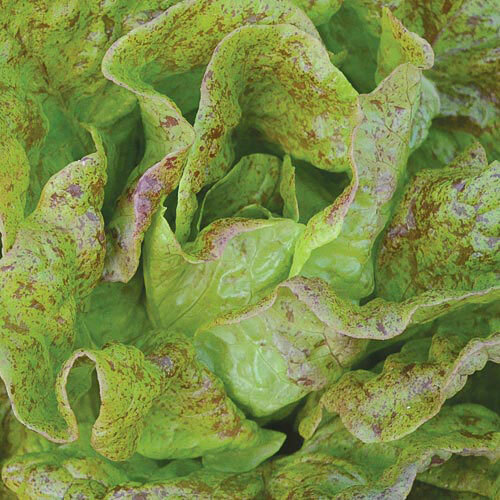 Morse & Co. as Strawberry Cabbage Lettuce. Stunning sanguine or blood red speckles. Plants average 8" in diameter. Tender texture and excellent quality. Butterhead, 60 days. ±32,800 seeds/oz.